Over at favorite blog thingsmagazine.net, there is a little set of photographs taken at the Ferrari factory in Maranello. Race cars have a special exemption from color theory and practice. Race cars can pull off color combinations that are otherwise acceptable only in the world of Fisher Price. There is something about the density, saturation and depth of race car livery that looks like you could dip an ice cream scoop in the fender for dessert. 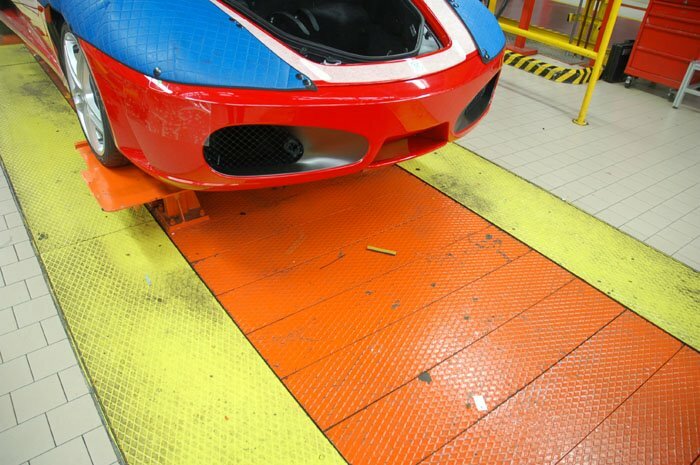 Granted, this assembly line Ferrari is not a race car, those blue body panels are seemingly temporary and you can't really count the floor but, damn, that looks good despite the yellow-red-orange-blue odds. 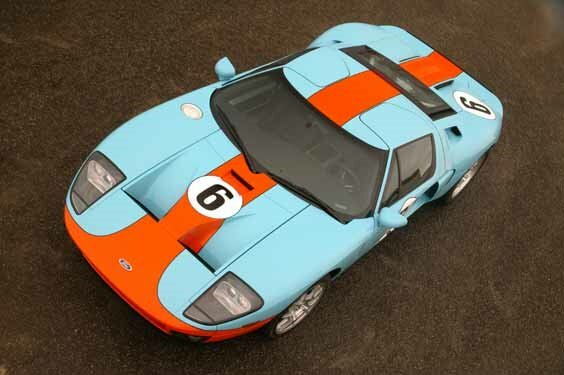 Though this is not the original Gulf GT-40, it is the best photo I could find to show off the perhaps most successful (and unlikely) livery color combination ever. There is something about a little bit of of milky white in the blue that makes it looks soft like Playdoh. 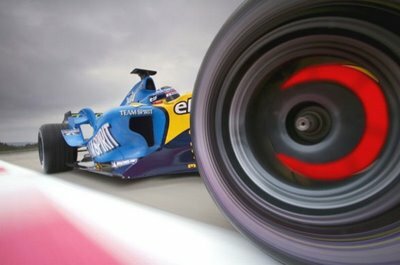 Modern race cars look too primary color for my tastes, but the Renault F1 car captures that same sherbert-like appearance with a little white in the mix. The red hot disc rotor doesn't hurt one whit. I am still an advocate of the ferocious attitude of black/gold from the Hemi Under Glass to the Bandit Trans-Am, and the one true scheme for a funny car is red,white and blue. However, these milky saturated colors are going to drive me to Baskin Robbins this afternoon to do some more color research. In the name of science.